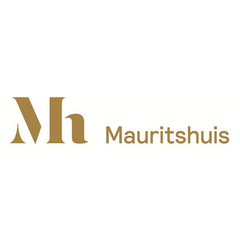 The Mauritshuis is renowned for its wonderful collection of paintings from the seventeenth century; the Dutch Golden Age. You will find the biggest names – Rembrandt, Jan Steen and Vermeer – on the second floor. But the Mauritshuis also has seventeenth-century paintings from Flanders and paintings from the fifteenth and sixteenth century. These artworks are exhibited on the first floor. The official name of the Mauritshuis is the Royal Picture Gallery Mauritshuis, which points to a royal connection. The oldest part of the collection consists of paintings brought together by stadholder Prince William V of Orange in his Gallery, here in The Hague, in the eighteenth century. His son, King William I, handed over the collection to the Dutch State in 1816. The collection has been housed in the Mauritshuis since 1822. Slowly but surely, the collection of the Mauritshuis has been expanded. In 1822, the museum started out with approximately 200 works, but nowadays the collection comprises around 800 paintings.